Wayne State University Press, 9780814334416, 200pp. Michigan's Pictured Rocks National Lakeshore was established in 1966 to preserve one of the most exquisite freshwater coastal landscapes in North America. Located between Munising and Grand Marais on Lake Superior, the rugged coastline is anchored by the Pictured Rocks cliffs--soaring sandstone fortresses awash with natural pink, green, and brown pigments. While the Pictured Rocks' geologic history is generally well understood by scientists, much of this information is scattered among different sources and not easily accessible to general readers. 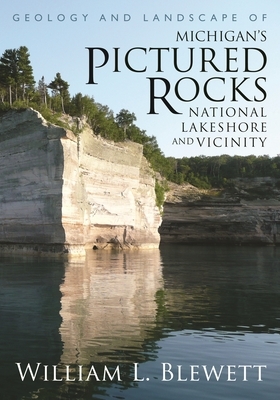 In Geology and Landscape of Michigan's Pictured Rocks National Lakeshore and Vicinity, William L. Blewett synthesizes published and unpublished information on the park's geologic history and combines it with vivid color photographs, detailed maps, and diagrams of the area.